You do extraordinary things every day. Find out how we can support you in your projects with our existing products and services, and what innovations and digital solutions will become part of our portfolio. All of this at the bauma 2019 in Munich. File compatible with Microsoft Outlook and Apple iCalendar. The shorter the countdown becomes, the more we can reveal about Doka at bauma 2019. Don’t miss anything: subscribe to our newsletter and follow us on social media. We look forward to sharing the bauma experience with you on 08 - 14 April 2019. In addition to proven formwork solutions, we are pleased to introduce the bauma visitors to a wide range of innovations. Our focus is on solutions that increase productivity when working with formwork and concrete. Read the press release to find out what to expect on the Doka booth. Purchase formwork online – quick and easy. An inviting open space with different themes dedicated to show Doka solutions tailored to the customer needs: Focusing on "Our contribution to increasing productivity on the construction site", the Doka Campus is a 4,700 m² booth presenting the latest products, services and innovations from the world of formwork. Bauma visitors can experience the opportunities for increasing productivity around formwork and concrete in the north / west open-air area, at booth FN.420. 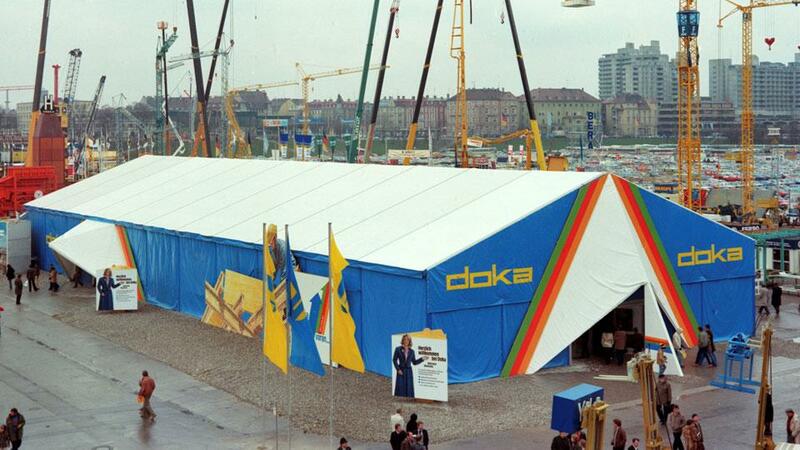 Since 1962 Doka has had its own booth at every bauma expo. A lot has changed at bauma but it has now become the world’s leading trade fair for construction, building materials, tunneling and mining machinery, construction vehicles and construction equipment. Doka’s expo booth has changed many times over the past years. 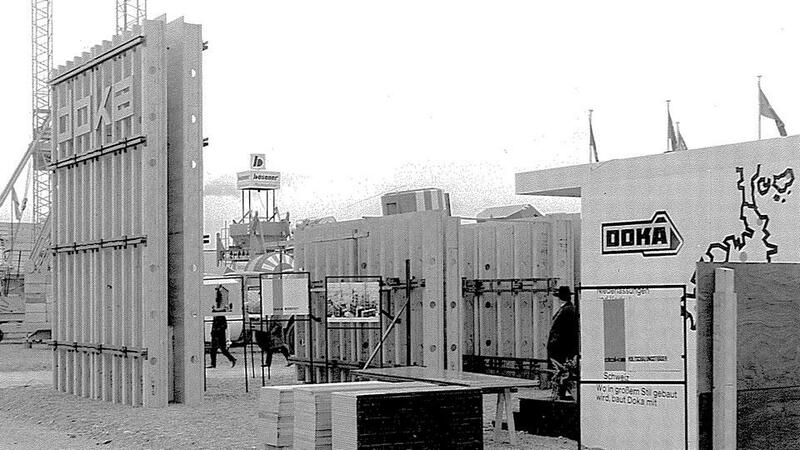 Join us on a tour of Doka’s history at bauma. 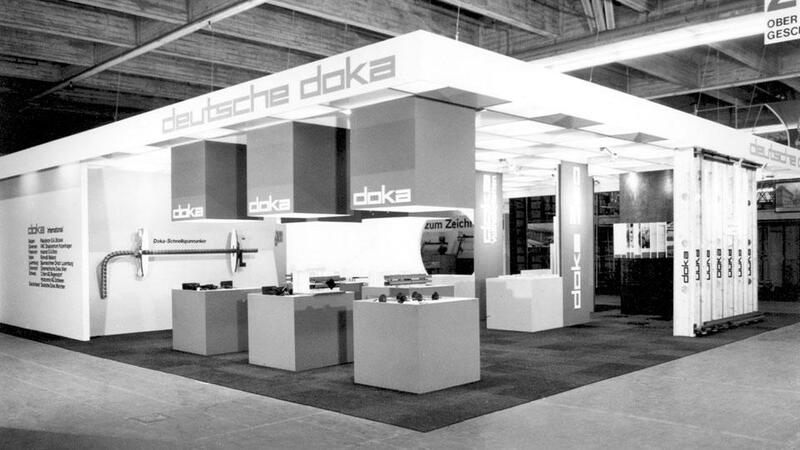 In this video, Alfred Umdasch takes us on a journey through Doka´s trade show appearances. Discover the story of how our stand transformed from a ´small hut´ in the early 60s to a booth with over 100 000 visitors nowadays. 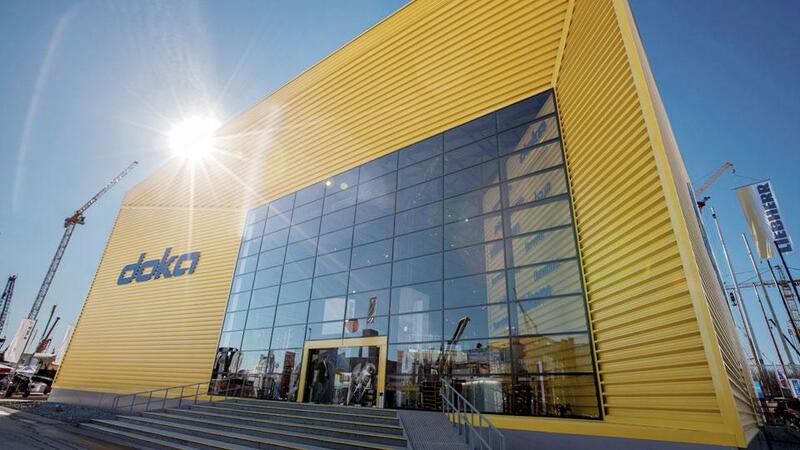 Doka exhibits for the very first time at the bauma expo. The bauma venue at this time is part of the former Oberwiesenfeld airport, which later became the site of Munich’s Olympic Park. 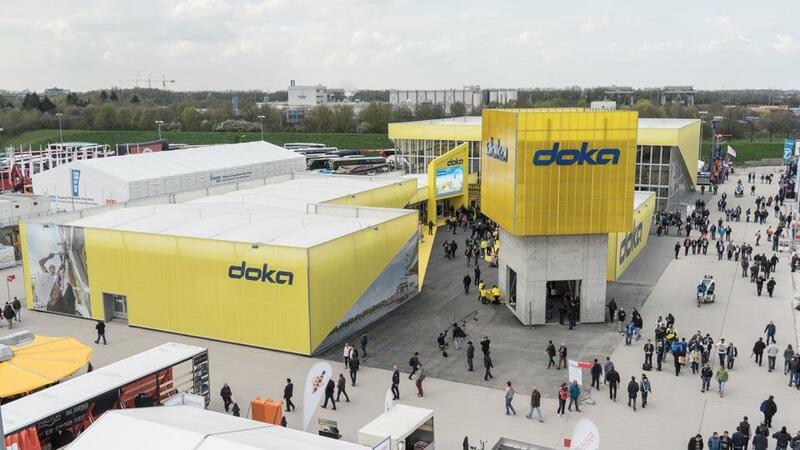 The bauma expo relocates, and Doka’s stand moves with it. The new venue is Munich’s Theresienwiese, better known these days as the “Wiesn”. 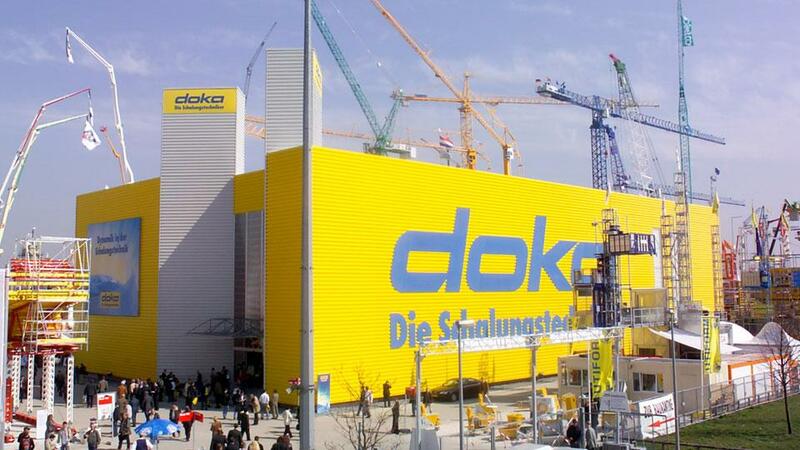 Doka decides to make bauma the focus of all its trade-fair activities in the German-speaking part of Europe. Doka’s stand at bauma is in one of the halls on the expo grounds. The exhibits get bigger and bigger – space inside the hall is limited. Doka erects a pavilion of its own in the outdoor area of the expo grounds. 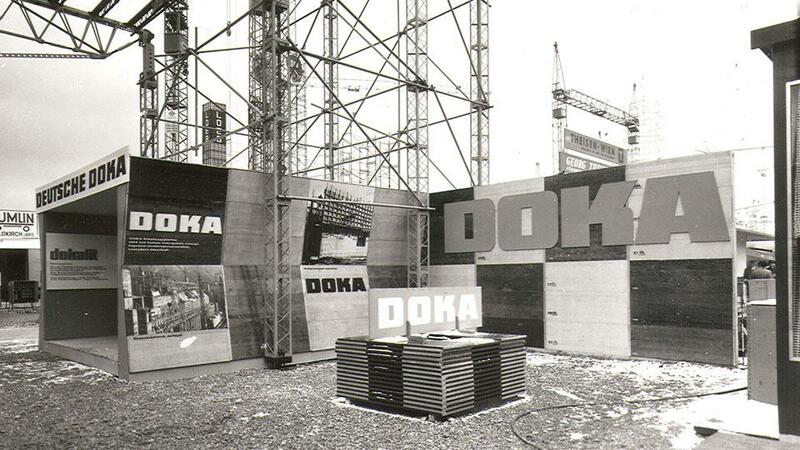 The formwork show captivates everyone who visits the Doka expo stand. Always a part of Doka’s bauma showing, it is a tradition with a new twist every time. Doka’s expo pavilion gleams in eye-catching yellow. Everywhere in the multi-level expo pavilion, visitors can experience Doka solutions close-up. The spacious entrance to the Doka Cube is an invitation to enter and explore. Customers and visitors were surprised by the new and unique exhibition concept awaiting them at the nearly 4,000 m² booth: Doka Campus. Thank you for your interest - bauma 2019 - Our contribution to increase productivity on the construction site. Thank you very much for your interest - bauma 2019 - Our contribution to increase productivity on the construction site.